A classic design of red and white . 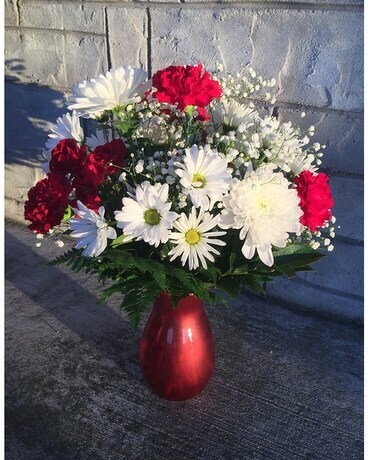 Including daisies, carnations, babies breath and more. Comes designed in a red glass vase.